1 poster: heavy paper, b & w, 21 cm x 28 cm. 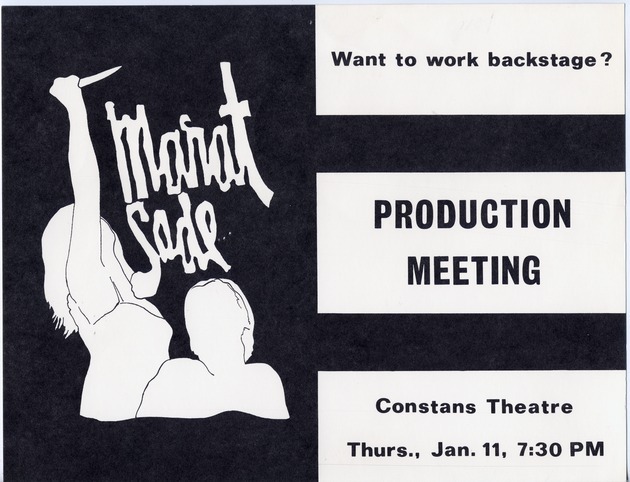 Summary: A poster advertising a production meeting for a play which was to be presented at the Constans Theatre on Thursday, January 11, at 7:30 PM. "Want to work backstage?"